In the grand scheme of things, the basic principles of coding teach metacognition, problem-solving, and abstract thinking. These are valuable skills to have even if a career in computer programming isn’t in the immediate future. We’ve compiled a list of our favorite hands-on coding activities from our Pinterest Board, Coding Unplugged, so you can have fun coding in a variety of ways! This can also be done for activities other than sandwich-making. In fact, anything that comes with instructions such as furniture or technological gadgets detail sequences of steps to achieve a desired outcome. In actual coding, inputting specific symbols in a sequence influence the end result as well. Get little ones interested in computers with this fun activity! Emojis are becoming more complex with greater variety every year, so start off with the simplest symbols. In addition to familiarizing children with this technological form of communication, it also teaches them how to better interpret emotions and icons. Tell a story. Sometimes it’s hard to tell what each emoji is communicating. Tell a story of the situation where you’d use each of these emojis. Name it. Give a name to the feeling behind each of these emojis. Explain to you friend. Did you come up with different answers? Practice. Can you make a silly face? What about a confused one? Can your friend guess which emoji you’re trying to do? Design. Make your own emoji. Think about a feeling you’ve had and how to make it into an emoji. Use materials like paper, cardboard and glitter. 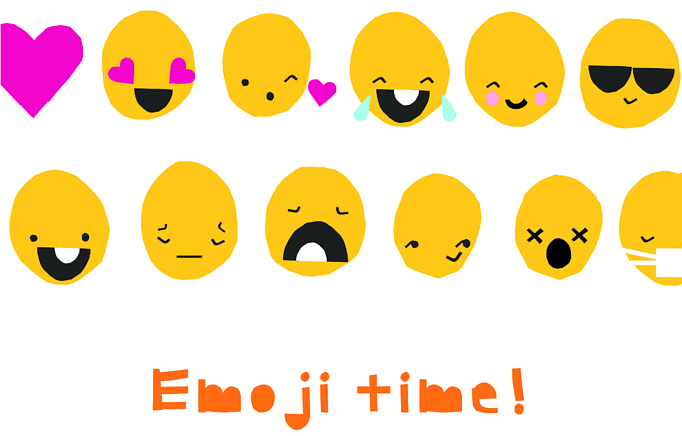 There is even a blank emoji for children to create their own! This activity helps demonstrate the social aspect of computer science. For more information, check out the activity on Hello Ruby. 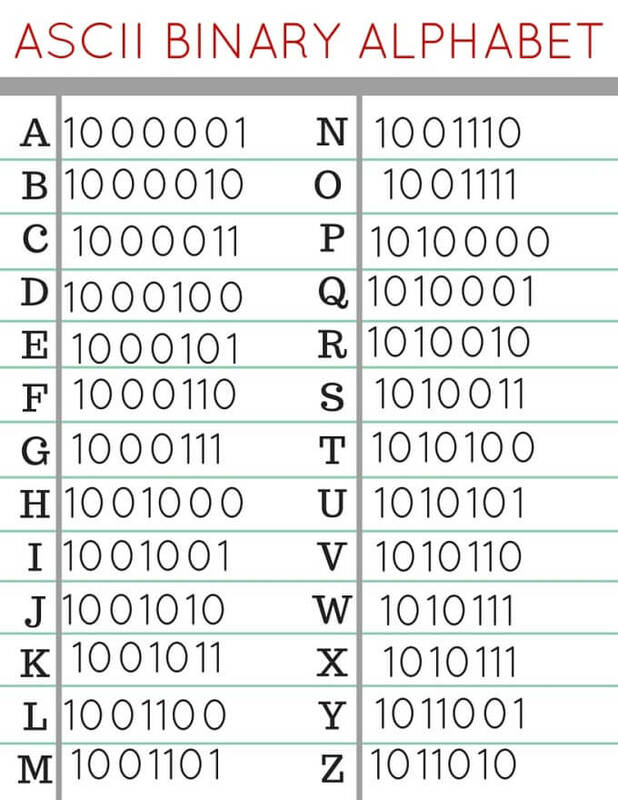 Using ASCII code, anyone can write their name in binary! In fact, you can write your name using the numbers themselves, or, you create a cool keychain, bracelet or necklace. 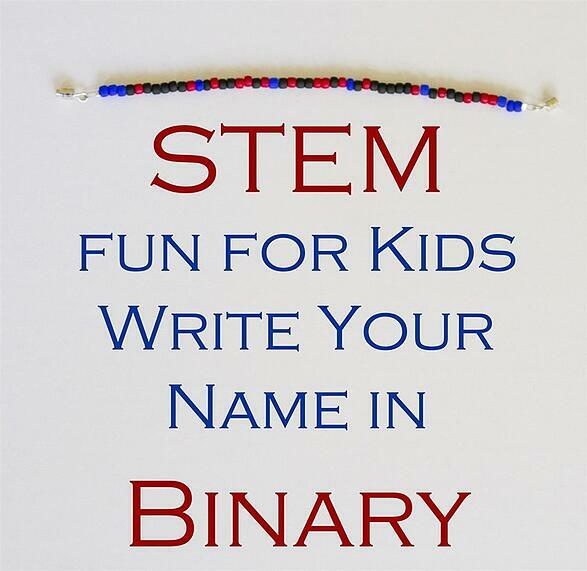 To create a keepsake using binary code, assign a separate color for 0, 1, and spaces. In the bracelet above, blue is used to space out each separate letter code. This is a great opportunity to learn about how computers process numbers and symbols. What may seem like an ordinary bracelet, is actually a sequence that spells out a complete thought! Did you know that braille is another form of binary code? So is Morse code! Learn more about the braille alphabet and Morse code from our Pinterest, which may lead to more coding activities! This is a great read-aloud coding story and activity book in-one! Through this book, children learn how to “break big problems into small problems, look for patterns, create step-by-step plans, and think outside the box” with an adult. There are exercises in every chapter to reinforce these concepts, making learning fun. 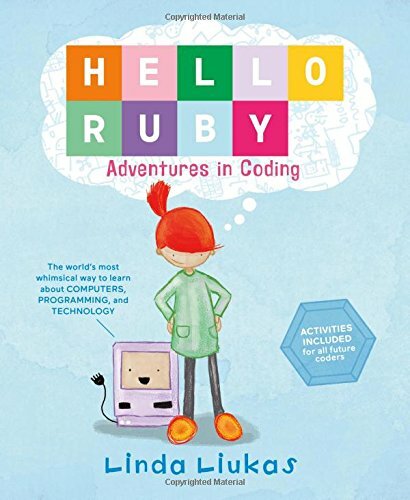 “Meet Ruby―a small girl with a huge imagination, and the determination to solve any puzzle. As Ruby stomps around her world making new friends, including the Wise Snow Leopard, the Friendly Foxes, and the Messy Robots, kids will be introduced to the fundamentals of computational thinking, like how to break big problems into small ones, create step-by-step plans, look for patterns and think outside the box through storytelling. 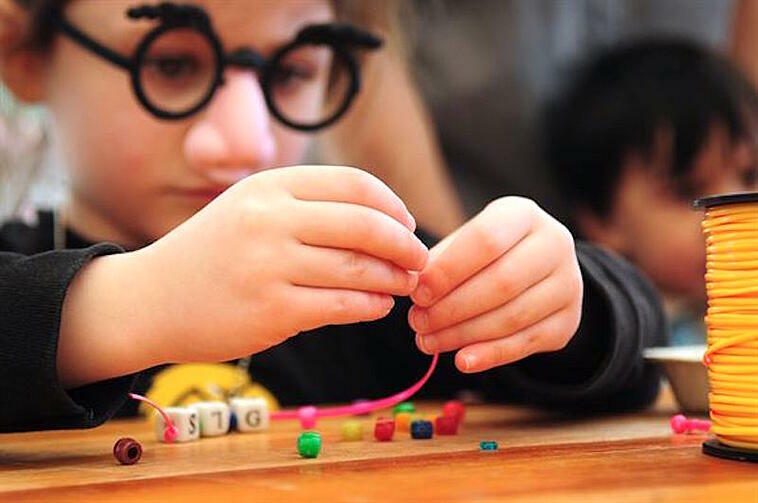 These basic coding and programming concepts will be reinforced through fun playful exercises and activities that encourage exploration and creativity. The book’s website also has a slew of other great unplugged coding activities for both home and the classroom. Level 4:While kids will hopefully experience success in Level 3, they will likely find that if they try to use their code on a different maze, it may not work. It’s possible that their figure will get stuck in what programmers call an “infinite loop”, repeating the same behavior over and over again without being able to escape. 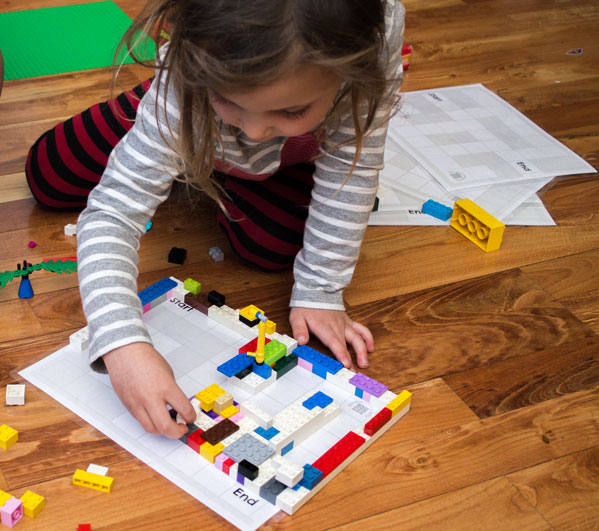 By introducing a random number generator, older kids can write a program that can get their figure out of any maze. For more instruction details and visuals, check out the original post at Research Parent. For more information about the benefits of computer-free coding, check out our recent blog post, Want Your Kids to Learn Coding? Start by Unplugging the Computer. If you're still hungry for unplugged coding activities, be sure to read our recent blog post about ThinkFun’s top 5 Offline Games That Teach Kids Coding Skills for a great time! We're also launching a brand-new series of programming games soon, which you can learn more about here. Be sure to follow our social media platforms to get the latest information on all of our coding games!